Orchids are not the primadonna of plants. 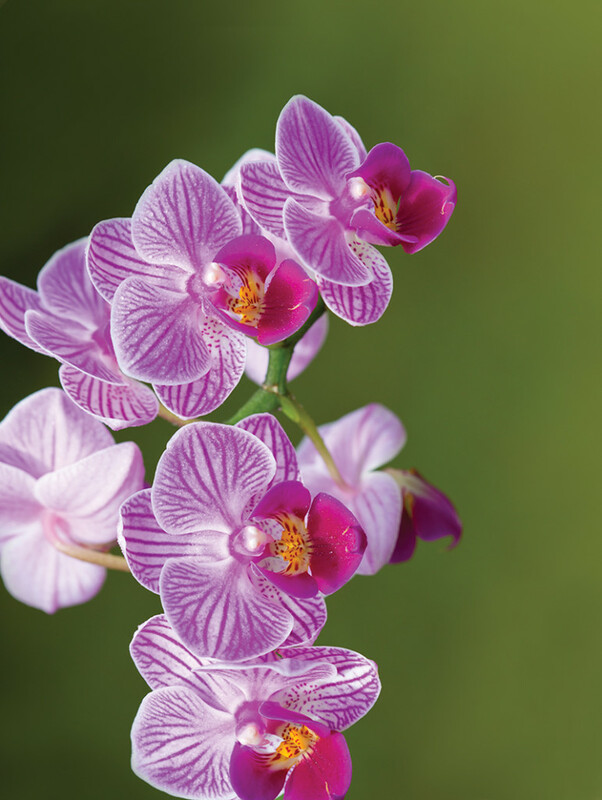 With the proper information anyone can successfully grow beautiful orchids. Never pot an orchid in potting soil; the roots will suffocate in the dense soil. Use a growing medium such as peat moss or perlite. Watering should be done only when the orchid’s soil is dry. Rainwater is a good choice. Temperature: if you’re comfortable, your orchids will be comfortable, avoid cold drafts and too much heat. Don’t neglect a dormant plant; it’s storing energy for next year’s blooms. Just remove old flower spikes, water as needed and fertilize monthly.